America After 3PM explores the demand and success of afterschool programs across the United States. 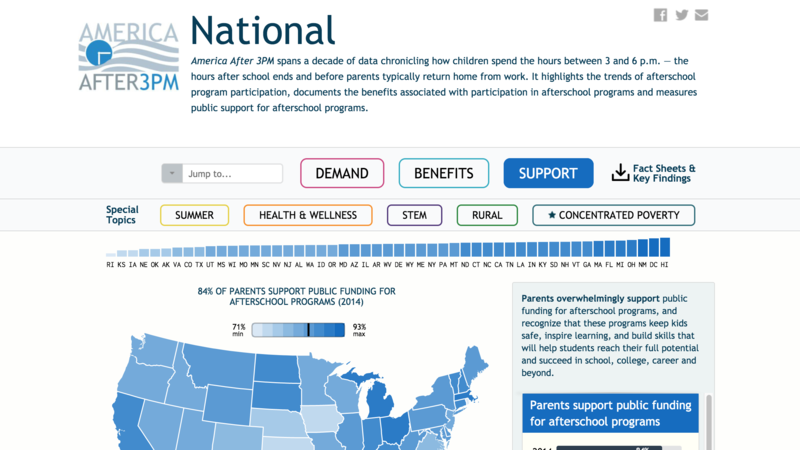 Two visual designers and I worked with the Afterschool Alliance to present their yearly findings such that constituents in every state could discover useful data in an actionable, presentable form. Part of my work at DC-based data visualization studio Graphicacy. 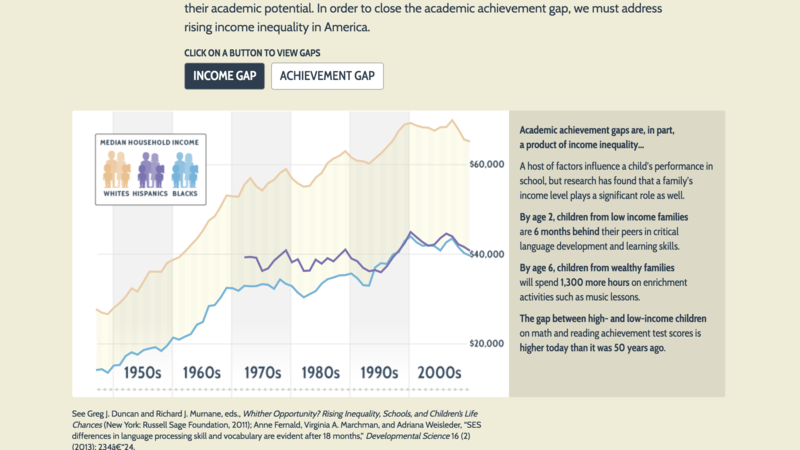 The Economic Benefits of Closing the Academic Achievement Gap transformed the Center For American Progress's lengthy report of the same name into a single-page, interactive narrative. Users uncover and explore the disasterous effects of the achievement gap in US students, and the huge benefits of closing that gap. Created at Graphicacy. 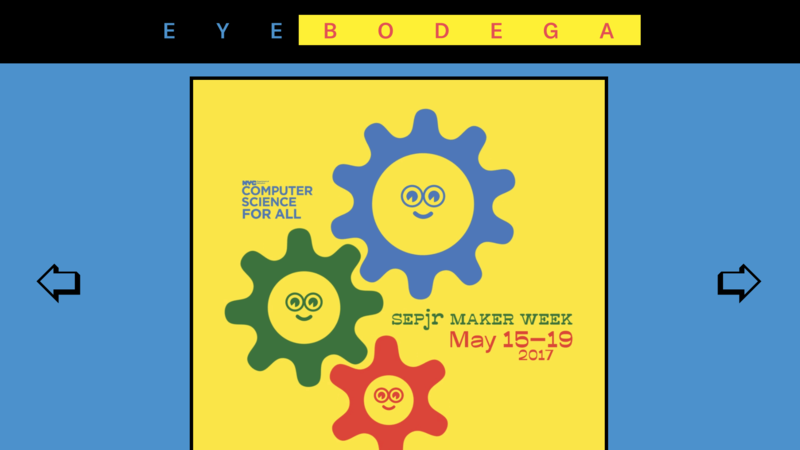 Eyebodega is an in-demand visual design studio based in Brooklyn, NYC. I recently updated the studio's site. They created a refined visual design and requested a “carousel” function which would work on mobile and desktop devices. The homepage I created upholds Eyebodega's level of excellence on all devices and screen sizes. Aelfie is a boutique home goods company based in Brooklyn, NYC. I help maintain her online store-front hosted on Shopify. I update the visual look-and-feel to match the high quality of the products offered. I also add complex new features when Shopify's built-in services don't keep up.